200 delegates will get a chance to hear about the latest commercial trends, challenges and opportunities from industry leaders. For the first time the Summit programme includes a panel session of regulators including Harrie Temmink, the European Commission’s lead policy official for gaming, as well as regulators from several major European markets including Carlos Hernandez Rivera from Spain and Peter Naessens from Belgium. What does convergence mean for the land-based gaming industry in Europe? Player tracking: Does it help to improve responsibility? Are manufacturers or operators driving the gaming machine market in Europe? Registrations for 2016 open on the 11th of January at http://www.euromat.org/egs2016 and the full Summit programme and speaker information can be accessed directly from the following conference webpage: http://www.euromat.org/egs2016/programme-speakers-16. In 2015, the Summit took place in Amsterdam with top names such as CIRSA, JVH Gaming, Gauselmann, Löwen Entertainment and Merkur Interactive sponsoring and speaking. 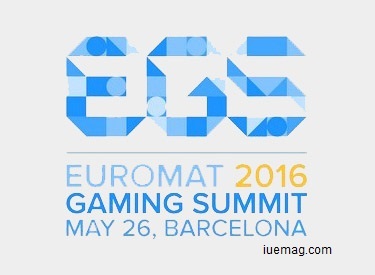 EUROMAT is the voice of the land-based gaming entertainment industry in Europe. A highly regulated and highly taxed industry sector accounting for more than 250,000 jobs across Europe. The organisation was established in 1979 to represent, through its affiliated national associations, private sector operators of gaming machines and the manufacturers that supply them. Today, EUROMAT has 18 national member associations from 13 European countries, as well as two observer members from France and Hungary. 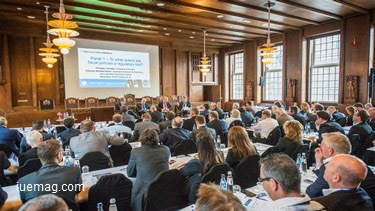 The first edition of the EUROMAT Gaming Summit took place in Amsterdam in May 2015, attracting representatives of the gaming industry, policy makers and media from across. The Summit is a credible forum for the land-based gaming sector to discuss major industry and commercial trends as well as regulatory developments with peers, regulators, politicians, the media and other stakeholders. Participants gain the opportunity to network, identify business opportunities and exchange knowledge and expertise. For further information about the EUROMAT GAMING SUMMIT please visit www.euromat.org and follow EUROMAT on LinkedIn and Twitter using our hashtag #EUROMATGS2016. Any facts, figures or references stated here are made by the author & don't reflect the endorsement of iU at all times unless otherwise drafted by official staff at iU. This article was first published here on 27th March 2016.